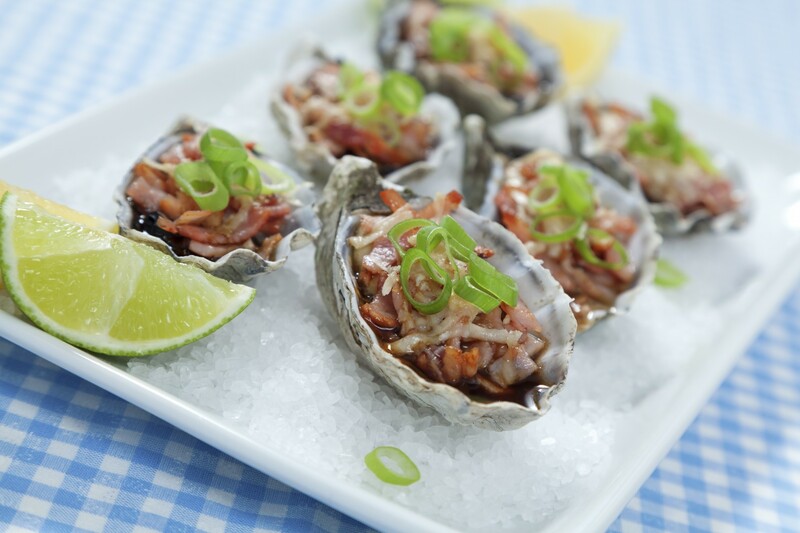 Arrange the oysters on a bed of rock salt in a large, shallow, heatproof dish. Combine the Worcestershire sauce and butter in a small saucepan. Heat until the butter melts and the mixture begins to bubble around the edges of the saucepan. Remove from the heat. Spoon a little Worcestershire sauce and butter mixture over each oyster. Top evenly with the diced bacon and season with sea salt and pepper. Cook under a preheated grill for 2â€“3 minutes, or until the bacon is crisp and golden.